The Wilkes-Barre/Scranton Penguins hit the road for the first time this season, and will face off with the Cleveland Monsters for a pair of games at Quicken Loans Arena. 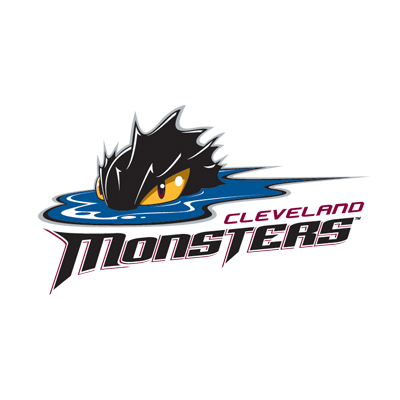 Thursday’s contest will be the first meeting between the Penguins and Monsters since the 2008-09 season, when the club was still known as the Lake Erie Monsters. The addition of the Colorado Eagles to the AHL this season necessitated some small maneuvering on the league’s part. The affiliate of the Colorado Avalanche moved into the Western Conference, and bumped the Monsters into the North Division of the Eastern Conference. So far, so good for Cleveland, which is off to a 3-0-0-0 start and has allowed just six goals in that time. It’s still early in the season, but a pair of Monsters sit at or near the top of the AHL’s scoring list. Center Zac Delpe is tied for the league lead with four goals and six points, while left wing Eric Robinson is one goal and one point behind his teammate. A pair of past Penguins are currently on the Cleveland roster. Forward Mark Letestu was signed by the Columbus Blue Jackets to a two-way contract before the season started, and was assigned to Cleveland. Letestu spent parts of four seasons with Wilkes-Barre/Scranton, recording 134 points (51+83) in 191 regular season games. He finished third on the team in points during the 2008-09 (61pts) and 2009-10 (55pts) seasons. Goaltender Brad Thiessen is now in his fourth season with the Monsters. He started his career by suiting up for the Penguins from 2009-13, recording an 88-59-17 record during that span. His 35 wins in 2010-11 are a single-season Wilkes-Barre/Scranton record, as are his 17 career shutouts with the Pens.